Respond to our event invitation on Facebook! Collectively, the artists invite you to redefine the meanings of "digital arts" and "new media" by way of hybridized video installations, interactive experiences, telematic performances and sound art; individually, within those digitized formats, each artist and their work will examine the social impact and intersection of art and media. As a whole, ground (ctrl) breeds fresh materiality through collaborative digital research; with soil, light and interactivity as the main motifs that bridge all the artworks in the exhibition, these elements will purposefully transform the Digital Arts Research Center into a living entity. Experience and participate the latest digital technologies and experimental performances. Additionally, the artists will be on hand to discuss their work and give tours. 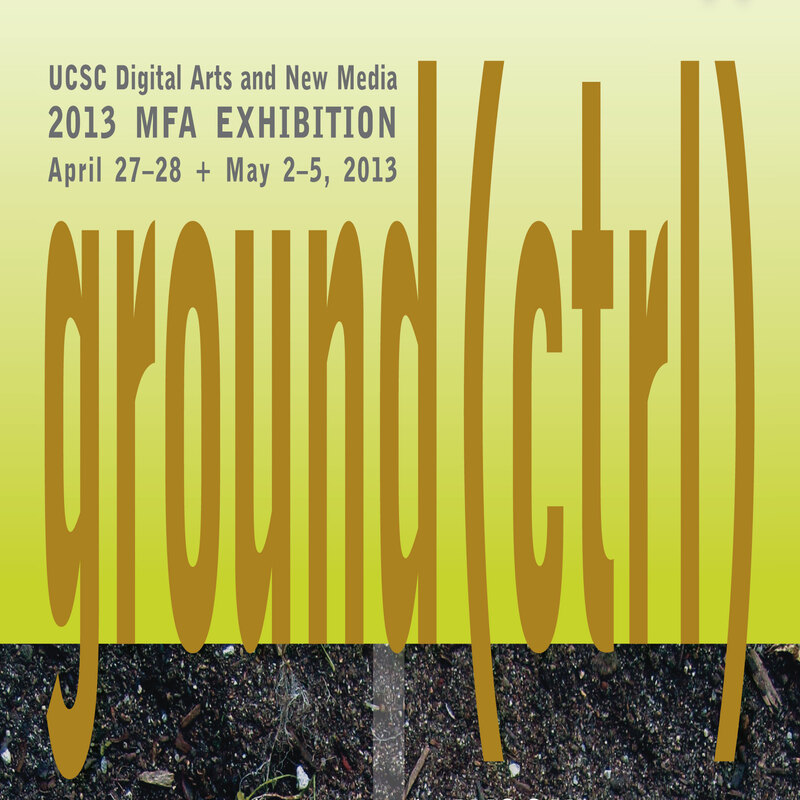 Ground (ctrl) is curated by Shelby Graham, Sesnon Gallery Director.